Oh dear, I’ve been TERRIBLE! I’ve missed 7 weeks of posting, I’m very sorry about that. 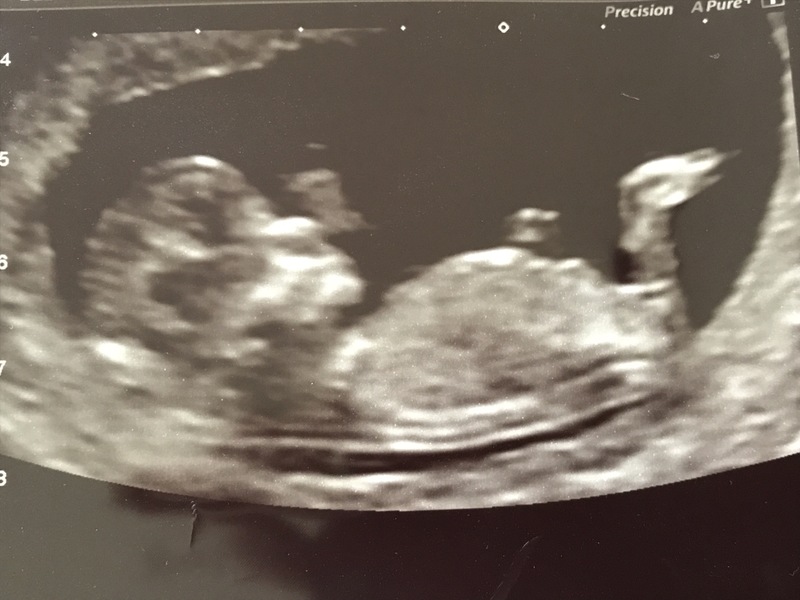 here is a picture from my 12 week scan which put me a couple of days ahead to a due date of 17th September. I will have my next scan in two weeks when I will be 21 weeks (just before). I was very nervous just before the scan that everything would be ok but when she said here is the heartbeat breathed a big sigh of relief. However, now I’m getting nervous again for the anomaly scan. One reason is that i haven’t been feeling hardly any movements which is strange as I felt movements very early before except with G ( my first)???? What’s going on? I have felt what I thought was a little flutter movement a couple of times but each time I wasn’t sure if that was my tummy or an air bubble. Anyway trying to relax as much as possible and not stress out. ← 11 weeks 6 days pregnant.